Our goal is to provide a safe, inclusive and supportive home for every student who chooses to live with us. With that goal in mind, we’ve developed ways to accommodate the student living experiences listed below. We will work with students with a legally qualifying disability to meet their individual needs and will engage in an interactive process to determine reasonable accommodations.If you indicate on your housing application an accommodation need based on a legally qualifying disability, you will need to provide medical documentation in support of your request. If the documentation is not already on file with the Housing Information Office, you need to complete and submit the Documentation for Accommodation Needs form within 5 business days of completing your housing application. Submitting the Documentation for Accommodation Needs form is not a guarantee you will receive the accommodations recommended on the form. The information you provide will have no bearing on your general eligibility for housing. Students with disabilities are assigned roommates in the same manner as all other residence hall applicants, unless they specifically request a single room and one is available at the time their application is processed. Accommodation requests take precedence over all other requests, including roommates. Accommodations for first-year residents with conditions that do not fall under the Americans with Disability Act (ADA) serve as a bridge to assist students with their transition from home to college. A placement in your first year does not guarantee on-campus housing, nor a specific placement in on-campus housing, beyond the first year. Services for Students with Disabilities does not share information with University Housing. University Housing is committed to providing a safe, inclusive and supportive experience for all students. We offer a variety of gender inclusive housing options to ensure that University Housing is a supportive space for residents of all gender identities and gender expressions. Gender Inclusive Housing provides multiple housing options for graduate and undergraduate students. Graduate and Undergraduate students can be placed in a gender inclusive room in one of our many residential communities on campus and undergraduate students can also opt into our Gender Inclusive Living Experience (GILE). 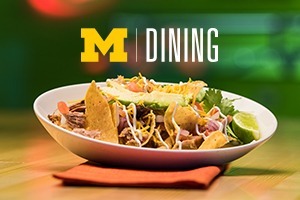 The Gender Inclusive Living Experience (GILE) is one of several gender-inclusive housing options offered at the University of Michigan. GILE is intended to be a safe, inclusive, comfortable and supportive community for people of all gender identities and expressions. This community supports students who identify as transgender or gender non-conforming in choosing (or being placed with) a roommate of any gender. If you are interested in exploring any of our Gender Inclusive Housing options please submit this interest form and we will connect with you through email. If you have any questions you can email gender.inclusive.housing@umich.edu. Interest forms are accepted on a continuing basis until the spaces are filled. If you have questions regarding LGBTQ campus life, feel free to contact the Spectrum Center at spectrumcenter@umich.edu. 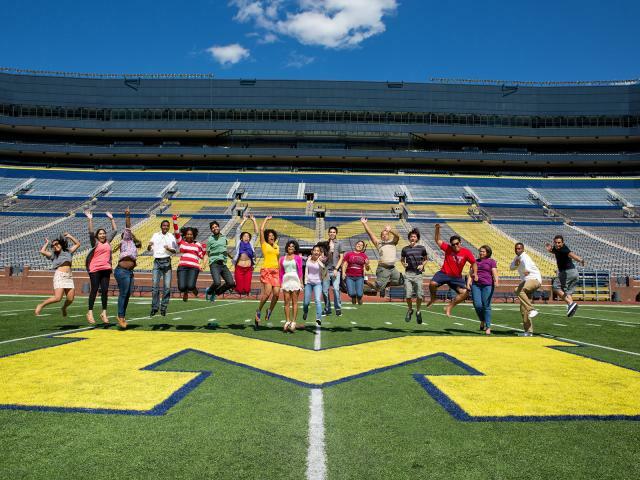 The Spectrum Center offers education, outreach, advocacy and support to U-M LGBTQ students. Please visit the Spectrum Center website for more information. For the purpose of gender-inclusive housing, gender non-conforming is a term for individuals whose gender expression is different from societal expectations related to gender. Gender expression is how a person represents or expresses one’s gender identity to others, often through behavior, clothing, hairstyles, voice or body characteristics. Definition Source: National Center for Transgender Equality; Mara Keisling, Executive Director. No matter where you live on campus, Housing Residential Staff will be there to support your transition, help you connect with services and answer all of your questions. You will also find additional support from the International Center. Second-Year students and above who wish to live in a community of peers interested in advancing their knowledge and appreciation of our diverse, multicultural world are encouraged to indicate interest in the International Impact Theme Community by selecting a room in North Quad in their Housing application. More information regarding programming, expectations and what International Impact can be found on the International Impact page. University Housing works to provide a safe, inclusive, comfortable and supportive living experience for all students living in Michigan residential facilities. We will work with students to meet their individual needs and will engage in an interactive process to determine reasonable accommodations for students in recovery who wish to limit their exposure to alcohol and other drugs. First-year students who wish to live in a drug and alcohol-free environment are welcome to apply to our SubFree Theme Community. SubFree offers fun and educational programming within a strong community environment. If you are interested in applying to SubFree, indicate your interest on the Housing application and fill out the Theme Community application which you will find at the end of the Housing application. If you have questions about University Housing, the on-campus environment or additional support, or would like to discuss on-campus options, please contact the Housing Information Office as soon as possible. Please note: We are only able to guarantee on-campus housing to new first-year freshmen. If you have questions about recovery support and how to get connected to the recovery community, please contact the Collegiate Recovery Program. If you have additional questions about alcohol and other drug abuse programs and services, we encourage you to contact the Alcohol and Other Drug Prevention Program. Recovery from substance dependence is a voluntarily maintained lifestyle characterized by sobriety, personal health, and citizenship. Sobriety refers to abstinence from alcohol and all other non-prescribed drugs. Evidence indicates that for formerly dependent individuals, sobriety is most reliably achieved through the practice of abstinence of alcohol and all other drugs of abuse. Definitions are quoted directly from: The Betty Ford Institute Consensus Panel (2007). What is recovery? A working definition from the Betty Ford Institute, Journal of Substance Abuse Treatment 33(3), 221-228. University Housing is committed to providing a safe, inclusive and supportive experience for all students. We recognize student observance of their faith tradition may require consideration for placement in on-campus housing. We will work with students in an effort to meet their individual needs and will engage in an interactive process to determine reasonable accommodations. Accommodation requests must be submitted prior to the student receiving a fall semester housing assignment. Submitting a request does not guarantee students will receive their preferred room type or campus neighborhood. A placement in a student’s first year does not guarantee on-campus housing, nor a specific placement in on-campus housing, beyond the first year. Here are the meal plan options. When religious observance prohibits the use of an electronic lockset, University Housing will provide students with standard keys so they may access their residence hall, individual room, and bathroom. If you have other accommodation needs, specify them on the Accommodations for Religious Observance Request form and we will work with you on an individual basis in an effort to meet your request.